Well, the Washington Capitals have been eliminated from the Stanley Cup Playoffs… again. Despite capturing the Presidents Trophy with a League high 120 points, the Capitals failed to progress past the second round, a feat which they have now failed to achieve since 1997-98, when they were coached by Ron Wilson and reached the Finals. However, their most recent failure was most certainly not for a lack of trying. 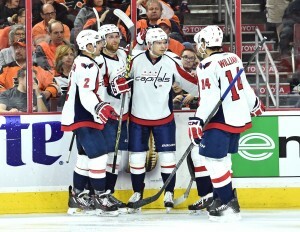 The Capitals were one of, if not the most dominant team in the NHL throughout the 2015-16 regular season, and carried their torrent play into the Playoffs where they rolled over the Philadelphia Flyers in the first round. In fact, since the 2007-08 season, the Capitals have been one of the League’s most dangerous and consistent teams, recording a Point Percentage (P%) of .632%, a mark which ranks fourth best in that period of time behind only the Pittsburgh Penguins, San Jose Sharks and Chicago Blackhawks. Further, of those three teams better than the ‘Caps since 2007-08 mentioned above, two of which have captured a Stanley Cup Championship, while the San Jose Sharks have reached the Western Conference Final respectively. With that being said, the Capitals’ inability to progress past the second round despite their excellent play is surely reason for pessimism. So, this begs the obvious question: why can’t the Capitals achieve more when it comes to the Playoffs? Regular season success in Washington has become a virtual guarantee in recent history, so why do the ‘Caps falter when they reach the post-season? The most common, perhaps most simple (and uneducated) answer to this question is Captain Alexander Ovechkin, who has become the scapegoat of the Capitals’ consistent post-season failures. To date, Ovechkin has been unable to lead his team to success in the Playoffs, but it is certainly not for a lack of effort on his part. In fact, Ovechkin has long been one of Washington’s best performers when it comes to the post-season, consistently producing offensively, logging major minutes and remaining incredibly competitive. 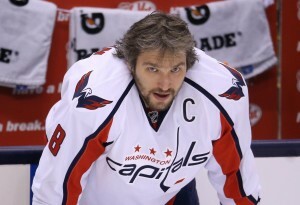 If you’re looking to blame Ovechkin for yet another Capitals’ playoff collapse, it’s time to look elsewhere. Ovechkin has long been a terrific playoff performer, and in 2015-16, he was no different. Since the 2007-08 season in which Ovechkin made his first career playoff appearance, he has been one of the most consistent post-season performers in the NHL. Among active players, Ovechkin’s Points Per Game (PPG) of 0.98 ranks 13th best, while his 82 points over 84 games played ranks 9th in that period of time and tops on the Capitals as a whole. Nothing changed in 2015-16, as Ovechkin remained as dominant on the ice as ever. Once again, the Russian superstar recorded a point per game for the Capitals, notching five goals and 12 points over Washington’s 12 games played. In their second round series with the Penguins, Ovechkin heavily out-produced fellow superstar Sidney Crosby, quieting what has become somewhat of a ridiculous debate. On top of hitting the score-sheet on a consistent basis, Ovechkin also logged an insane number of minutes on the ice, averaging nearly 22 minutes of time of ice per playoff game. In Washington’s Game 6, season ending loss alone, Ovechkin logged over 27 minutes of ice time, ten minutes of which came in the third period including four minutes of consecutive power play time in which the “Great 8” was a consistent threat. So, after tying for the team-lead in post-season scoring, both goals and assists, registering a massive 62 shots on goal, recording incredible time on ice and remaining a persistent threat while playing a defensively responsible game, how is it at all possible that Ovechkin is solely at fault for yet another early Capitals playoff exit? In looking at his highly inspired play throughout the playoffs, all Ovechkin did was play the same style of hockey he has his entire career, play which has made him a long-time superstar in the NHL. Had Ovechkin’s offensive production dipped significantly, there would have certainly been a case against the long-time sniper to have let his team down, but as we have seen, Ovechkin has been nothing but a dangerous asset throughout his entire, incredibly consistent playoff career. For those looking to place blame, it’s hard, if not unfair, to single out just one individual. After all, hockey is a team sport, and games are won and lost by a collection of teammates, not the actions, or in some cases lack of by individual players. Regardless, one thing remains certain, and that is that the Capitals are one of the League’s deepest, most dangerous teams. Perhaps they simply ran into a Penguins squad which hit its stride at the right moment, however, come the 2016-17 season, Washington will surely be amongst the NHL’s best, and Ovechkin will be a major reason why.